Would anyone trust the convictions of a monkey's mind? Last week, I put up a series of posts on Guy Kahane's article "Evolutionary Debunking Arguments". In the comments to one of them, John Wilkins said he would be interested in my comments on a related paper that he wrote with Paul Griffiths entitled "When do Evolutionary Explanations of Belief Debunk Belief?". This post is the first in a two-part series that attempts to do exactly that. 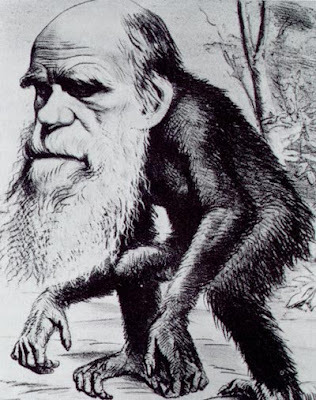 Griffiths and Wilkins (GW - I trust you'll forgive the abbreviation) argue that evolutionary explanations do not debunk commonsense and scientific beliefs, but that they do debunk moral and religious beliefs. In this post I'll try to summarise the basic elements of their argument. In the next post, I'll look in more detail at their arguments relating to scientific and religious beliefs. If you're interested in the critical commentary, skip to part two. Epistemic Premise: The evolutionary process X does not track the truth of propositions like P.
Conclusion: Therefore, S's belief that P is not justified (warranted). As GW point out, the easiest way to undermine a debunking argument of this sort it to attack the epistemic premise, i.e. to argue that the evolutionary process does track the truth with respect to the relevant class of propositions. They refer to this response, cleverly, as constructing a Milvian Bridge. 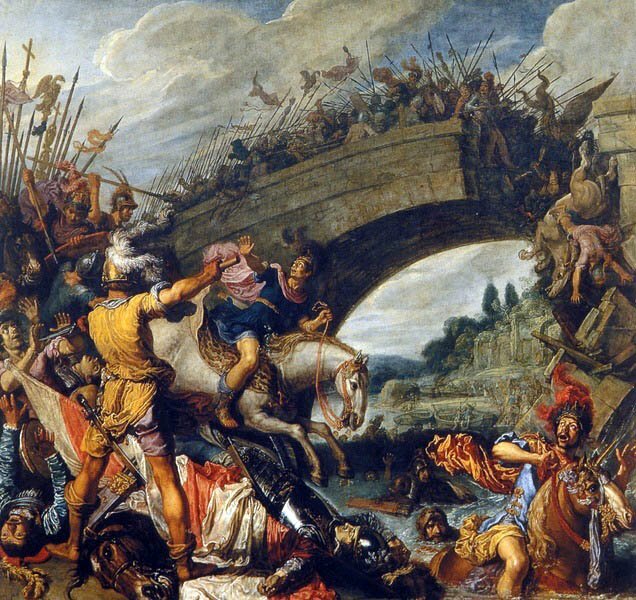 Milvian Bridge Principle: X facts are related to the evolutionary success of X beliefs in such a way that it is reasonable to accept and act on X beliefs produced by our evolved cognitive faculties. GW think a Milvian bridge can be built for commonsense and scientific beliefs, but not for moral and religious beliefs. 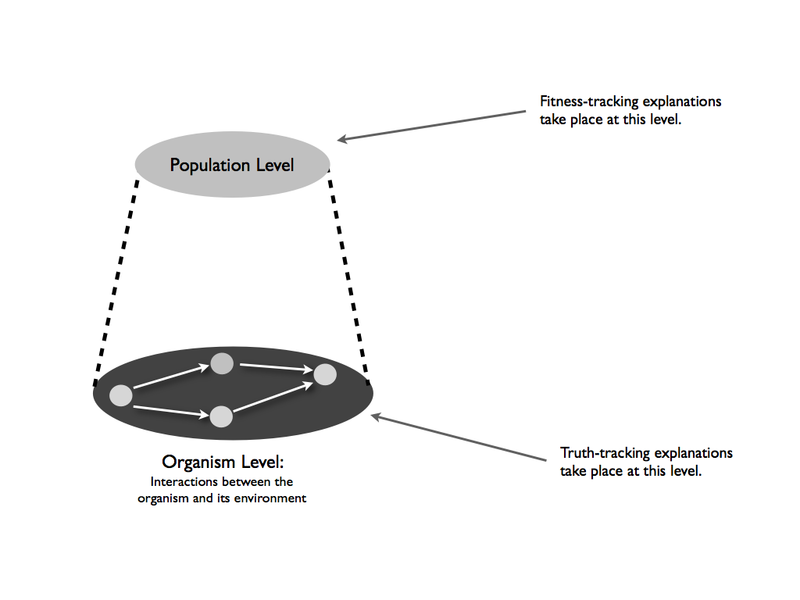 One of the reasons that evolutionary debunking arguments seem compelling is their reliance on the assumption that fitness-tracking and truth-tracking are alternative forms of explanation, not complementary forms. Thus it seems that a cognitive bias or heuristic can be accounted for in terms of its fitness-enhancing capabilities, this rules out or lessens the probability that it is truth-tracking. This, GW argue, is a mistake: fitness-tracking and truth-tracking are not alternatives. A fitness-tracking explanation takes place at a different level from a truth-tracking explanation. When we ask "why was trait A (seemingly) selected over trait B? ", we are asking a question at the most abstract level of evolutionary explanation: the population level. At this level, one determines fitness by looking at the heritability, frequencies and fitness functions of a particular trait. The truth tracking explanation takes place at a lower and more specific level. It concerns how an organism actually interacts with its environment. To say that a cognitive mechanism tracks the truth is akin to saying that a pair of claws are efficient flesh tearing machines. There is no reason why a cognitive mechanism cannot be both truth-tracking and fitness-enhancing; just as there is no reason why a pair of claws cannot be both efficient flesh-tearers and fitness enhancers. To say that cognitive mechanisms can be both truth-tracking and fitness enhancing is not to say that they actually will be truth-tracking. GW argue that cognitive mechanisms will only be truth-tracking within certain constraints. They give two examples of such constraints. Cognition is clearly a costly enterprise. Estimates vary, but approximately 20% of the human body's oxygen consumption is taken up by the brain, despite accounting for only 2% of its mass. Because it is so costly, GW argue it is unreasonable to assume that cognition plays no role in shaping human behaviour. At the same time, it needs to be borne in mind that resources spent on cognition cannot be spent on, for example, tissue maintenance or gamete production. If the opportunity cost involved in cognition is taken into account, then it might turn out that many of the biases and quirks in human cognition are less arbitrary than they first appear. Indeed, Gerd Gigerenzer and his colleagues have been arguing for years that many human biases and heuristics are best understood as reasonable accommodations between cost and accuracy. In other words, our evolved cognitive mechanisms can be seen to track truth with relative efficiency subject to various costs. In addition to this, the ability of our evolved cognitive mechanisms to track truth may be limited by the fact that on some tasks involving decision-making under uncertainty it is impossible to avoid making some kinds of error. Abstractly, these tasks require the organism to produce appropriate behavioural responses to signals of uncertain meaning. In such a task there are two basic errors the organism can make: (i) a type 1 (false positive) error; and (ii) a type 2 (false negative) error. Each of these errors comes with an associated type of risk. Suppose the signal in question is the colouring of certain types of food and the appropriate behavioural response is either to eat the food or discard it. The organism might assume that bright colours indicate poisonous foods. In this case, an organism that makes a large number of false positive errors will run the risk of discarding a large number of consumable foodstuffs. An organism that makes a large number of false negative errors will run the risk of being poisoned. But, and here's the crucial point, because uncertainty is a part and parcel of the cognitive task, evolutionary processes will be unable to avoid making some kind of error: any reduction in the risk of type 1 errors will increase the risk of type 2 errors, and vice versa. So the best that evolution can do is to achieve the most reasonable balance between the types of error that the organism makes. Once again, there can be truth-tracking, but only subject to constraints. So far, GW have presented three key claims: (i) that the easiest way to respond to an evolutionary debunking argument is to construct a Milvian bridge, i.e. show that true beliefs can be linked to pragmatic success; (ii) that fitness-enhancing and truth-tracking explanations are not alternatives to one another; and (iii) that our cognitive mechanisms can track truth subject to certain constraints. What sorts of implications can be drawn from these three claims? The first implication, according to GW, is that our commonsense beliefs are overwhelming likely to have tracked the truth because understanding of the commonsense realm is highly likely to be linked to evolutionary success. Now we must be careful about this for two reasons. First, we need to understand what GW mean by "commonsense belief" and second, we need to understand their views on the ontological significance of a commonsense belief. As regards meaning, GW say that a commonsense belief is an everyday belief that guides action. I take it they intend by this to refer to our beliefs about the mid-sized objects and entities that we interact with on an ongoing basis: our fellow humans, basic foodstuffs, our bodily limbs, rocks, trees, chairs, cars, cabbages, kings and so on. As regards the ontological significance of our everyday beliefs, GW make an interesting and important observation: the conceptual realm that is created by our commonsense beliefs has no ultimate ontological significance. Indeed, there is a certain relativity or flexibility to such conceptual schemes. One example they use to illustrate their point is drawn from the field of ethology (study of animal behaviour). 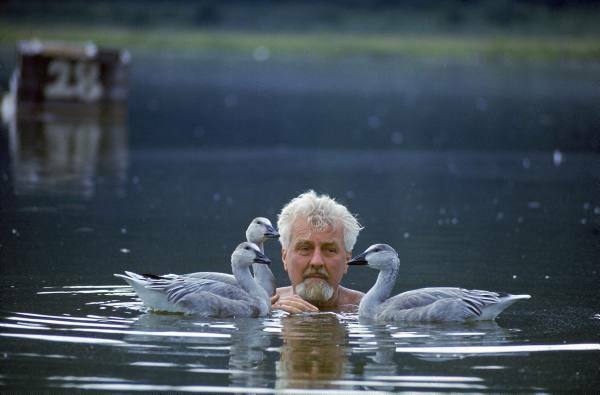 The cite Konrad Lorenz's famous work on birds which suggests that birds do not perceive or conceive of their fellow birds as particular individuals in the way that we do. Instead, they conceive of a set of stimulus features that mark something as the appropriate object of a suite of behaviours. In doing so, the birds make no essential mistake or error about the ontological reality of their fellow birds. There is nothing necessarily wrong about ours or the birds' conceptual schemes, they are both valid. To say that our commonsense beliefs have no ultimate ontological significance is not to say that we lack the means to acquire knowledge of the more fundamental levels of ontology. That is what science allows us to do, but our confidence in our scientific beliefs can be derived from our confidence in our commonsense beliefs, as we shall see in part two.